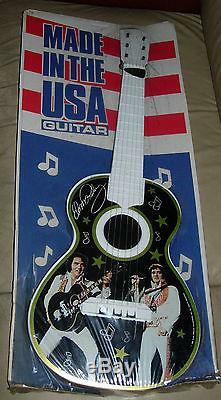 ELVIS PRESELY GUITAR LAPIN 1984 SEALED ON GENERIC MADE IN USA CARD Overall, excellent unused condition and sealed on the original generic Lapin Made in USA card. 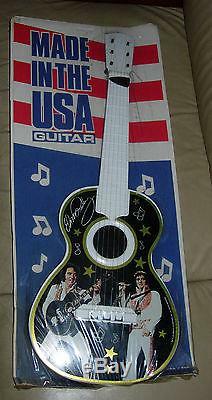 Heavy cardboard card is bowed around the guitar, which is typical of this type of seal. Some tearing to the seal at bottom and bottom left but seal is still quite intact and tight. Some other minor tearing to seal around edges. Again, seal is tight and intact. 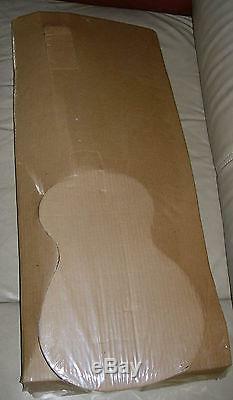 This is a larger item and measures approx 30 x 13 inches. 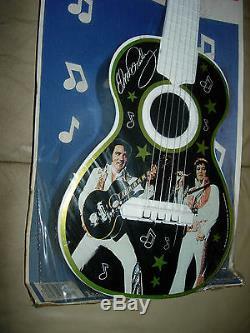 The item "ELVIS PRESELY GUITAR LAPIN 1984 SEALED ON GENERIC MADE IN USA CARD" is in sale since Friday, May 17, 2013. This item is in the category "Toys & Hobbies\TV & Movie Character Toys". The seller is "aurorasjs" and is located in Blandon, Pennsylvania.